As much as I LOVE WordPress.com, I can’t advertise on it, so I’ve moved this blog. I will continue to update the blog daily, just at the new site. I hope you will continue reading the blog, because I sure do appreciate it. All of this blog’s archives will remain here, for your viewing pleasure. 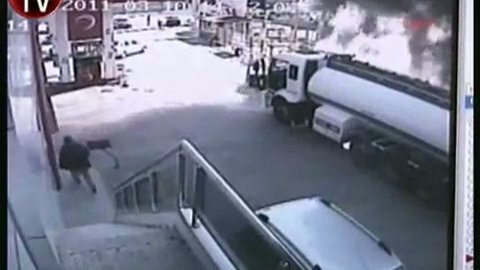 An amazing video just came out of Turkey, which shows a big oil tank truck bursting into flames and a guy hopping into the burning truck and driving it away. The guy is being hailed as a hero. His logic was to drive the tanker, which was going to explode, out of a populated area so there’d be fewer fatalities and less damage. He drove it more than a mile, to an area that wasn’t so built up. There was some damage, but it wasn’t as bad as it could have been. And the truck driver survived with just minor injuries. Geez, I guess snowball fights can be nasty, too. 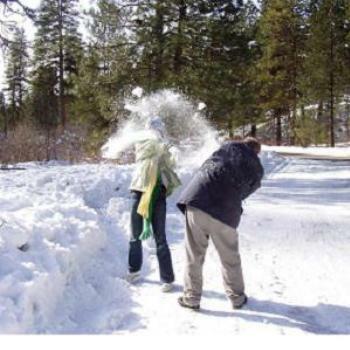 The Burlington Free Press reports today that two people got into a nasty fight in the Vermont town of Jay over a thrown snowball. Play nice, boys. Apparently, a weekend snowball fight in Jay, Vermont got out of hand. One guy threw a snowball at a car on a pretty remote stretch of Route 242. The guy driving the car stopped, and they battled it out with fists. C’mon guys. There’s plenty of snow. 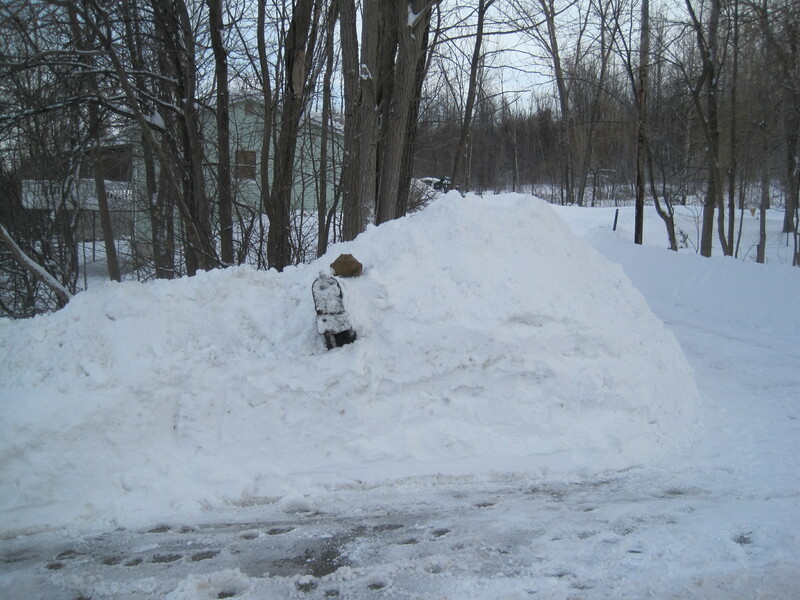 Build a couple snow forts, heave snowballs at each other from your respective forts and blow off steam that way. You know, like kids do. Aren’t snowball fights supposed to be fun? Well, spring is coming. So maybe we’ll get through the rest of winter without violence. Amid wet snowflakes, cold raindrops, and a low gloomy overcast, I went outside, and out of desperation, tried to get some work done around my house in St. Albans, Vermont. I dug up the thin layer of unfrozen ground near the shed, that needs to be completely dug up and enriched with good dirt. For flowers. That will allegedly bloom when spring allegedly comes. Hell, I got 20 minutes of work in before I hit solid, frozen ground and gave up. But wait! Right up against the sunny side of the house. A fresh, tender green shoot! It’s the first bit of a crocus that I planted last fall. 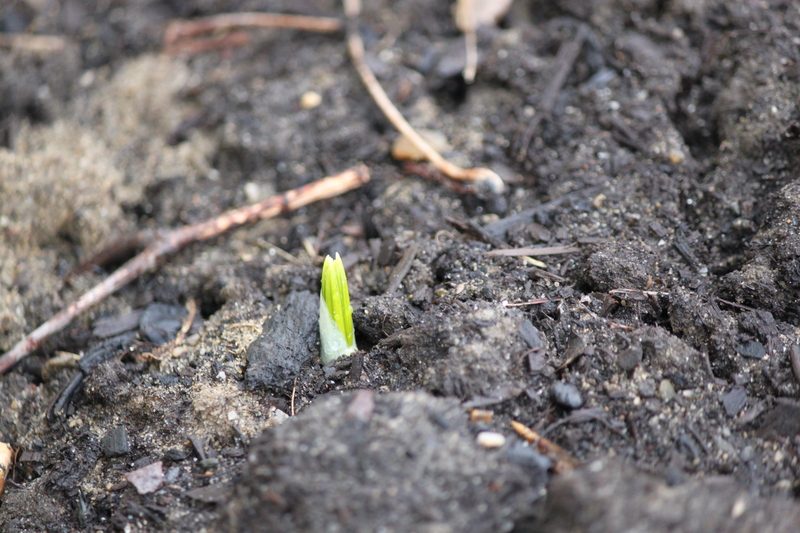 It’s not much, and it’s certainly not blooming yet, but it’s the first sign that maybe spring will get here. It used to be if you wanted to see some dramatric, over-the-top otherworldly disaster, you’d have to rely on Hollywood. The movies would try to outdo each other subjecting cities and people to fictional mega-disasters. The movies still do. But depressingly, it seems real life has gotten just as bad over the past ten years. 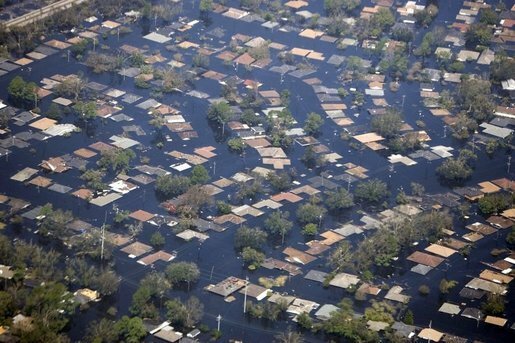 New Orleans drowned by Hurricane Katrina, 2005. We’ve been subjected to the horrible spectacle of the World Trade Center attack, the first big tsunami disaster of 2004, Hurricane Katrina in 2005, and more. Recently, the mega-disasters have been coming fast and furious: The floods in Austrailia, the earthquake in New Zealand, and now the tsunami in Japan. The religious wackos say this is a sign of the end times. They seem to be joyous in the face of all this human death and misery. Frankly, I just want to smack these people. Gawd, using horrible things to smugly justify their own false religious beliefs, or worse, scam money from the gullible. 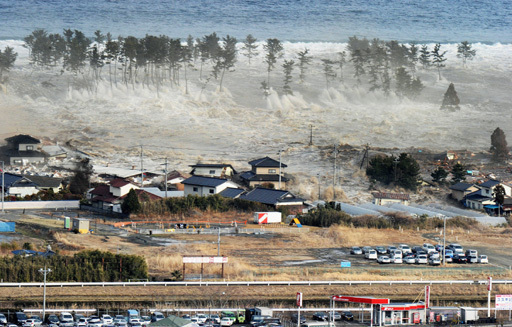 The tsunami was just two days ago, and already, almost everybody has seen this horrifying picture of the tsunami rolling into a Japanese town. We now have immediate access to disasters. What’s really going on is everybody has a camera now. Think about it. If the Japanese earthquake and tsunami happened 30 years ago, of course it would be all over the news, and we would have surely seen televised images of the destruction. Now, everybody instinctively thinks: Media. That’s why so many people in Japan got their cameras rolling as soon as the Tokyo skyscrapers started rocking back and forth like tall grass in a windstorm. I’m not criticizing all this. Humans want to share. So if they have a greater ability to share their shock, fear, awe and catastrophe, they will. Now, we have hundreds of you-are-there videos of the earthquake and tsunami at our fingertips. We can’t help watching them over and over again, and finding new videos that are constantly appearing on YouTube and more Internet sites than anyone can count. 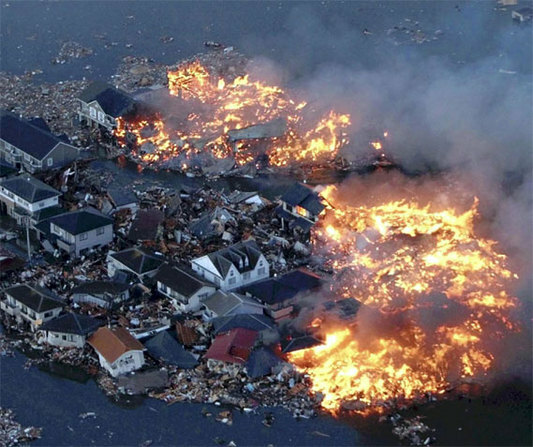 When disaster strikes we are bombarded with images like this one of Japan more than ever before. We are immeresd in big disasters like we’ve never been before. It makes it so we can’t help wondering if we are next in line to be obliterated in the Next Big Catastrophe. No wonder a lot of us think Mother Nature is constantly trying to outdo herself to find creative ways to kill us all. 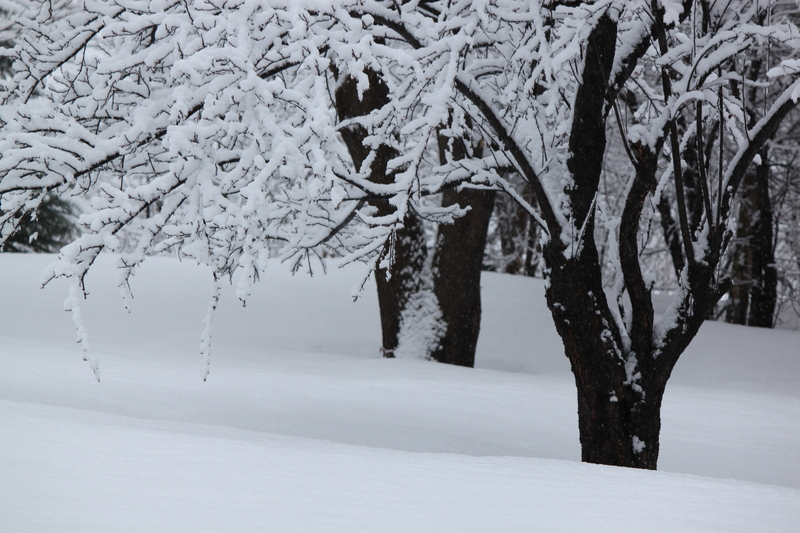 As is well documented in this blog, I’m anxious for the snow to melt. I’m itching to get the landscaping season going and the snow is very much in the way. This morning's sugar snow added to the deep accumulation on my lawn in St. Albans, Vermont. So imagine my disappointment when I woke up to two inches of fresh snow that replaced some of what melted yesterday. Forecasts had called for absolutely no snow last night around my place in St. Albans, Vermont, so I got the booby prize there. But I made the best of the new snow. 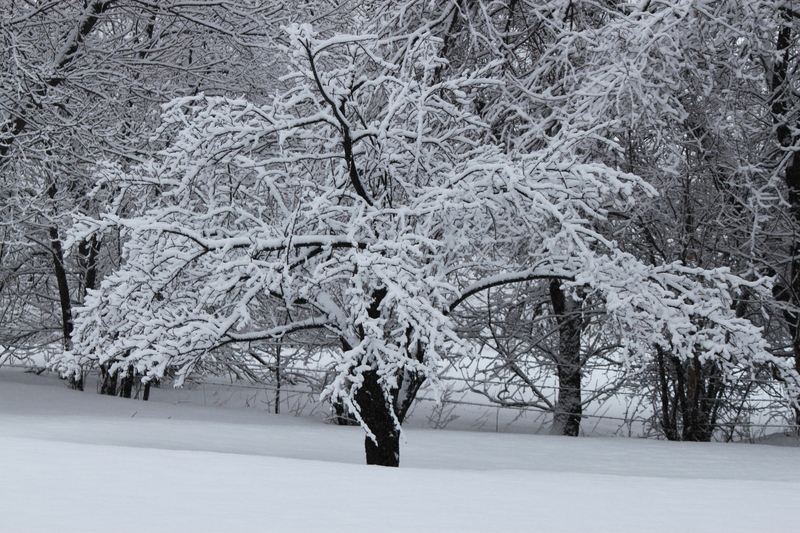 It was “sugar snow.” What that is a couple inches of wet snow that often falls at night in Vermont during March. 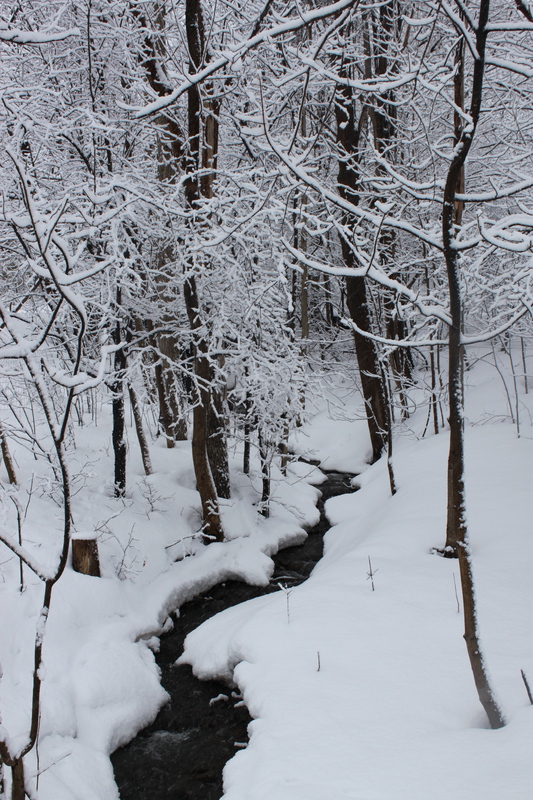 It’s maple sugaring season now, so such a snowfall adds a little moisture for the trees to keep producing sap. 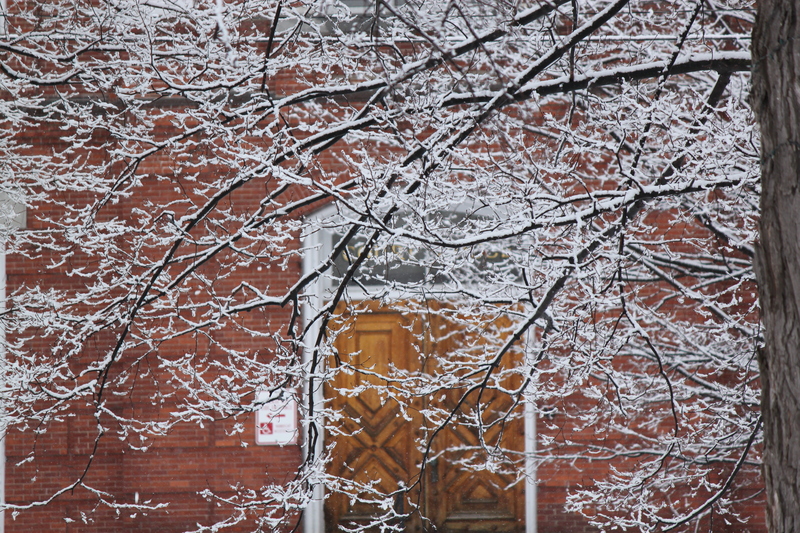 Snow clings to branches and frames an old courthouse in downtown St. Albans, Vermont this morning. Granted, we don’t particularly need the moisture this year, but sugar snow is a tradition of sorts, so I have to accept it. The great thing about sugar snow is it’s very pretty. It usually falls when there’s very little wind, and the wet snow clings to every last twig and cornice. 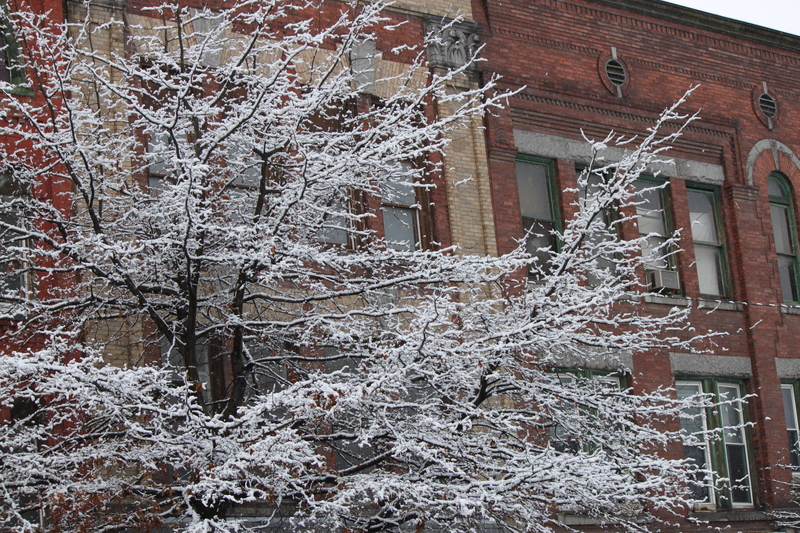 Snow on tree branches brightens the facades of buildings in downtown St. Albans, Vermont this morning. Another good thing about sugar snow is it melts fast. It stopped snowing around 8 a.m. It’s now 10:30 a.m. and the sugar snow is melting fast under the glare of fleeting glimpses of the sun sneaking through the clouds. The slow March melt now resumes. Until tonight, when chances are we’ll get yet another sugar snow. Snow on a tree in my St. Albans, Vermont yard this morning. 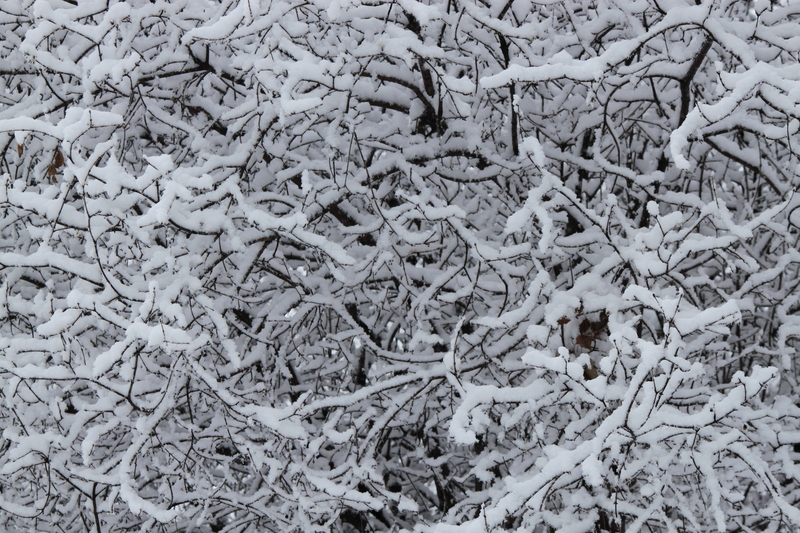 Wet snow creates a tangled pattern on a tree in my yard in St. Albans, Vermont this morning. Dust devils are really cool. They’re little columns of spinning air, like a tornado, except they hit on sunny, warm days and rarely cause damage to speak of. A stil from the "plastic" dust devil in the first video. 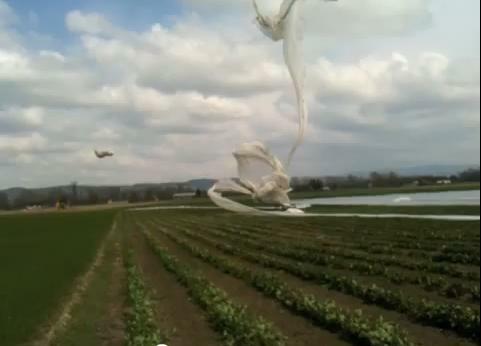 This video reminded me of another video of a dust devil, really a hay devil years ago in South Burlington, Vermont. It looked like so much fun. Japan’s Quake and Tsunami Vs. My Stupid Whining. –A big snowstorm that inconvenienced me. –A sore shoulder that makes me want to keep taking aspiring. — Wet shoes and socks. 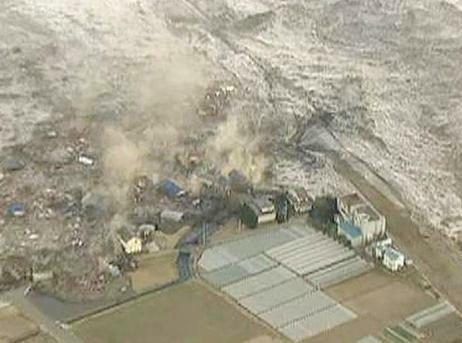 Aerial photo shows a tsunami surging across Japan Thursday. In others, I have nothing to whine about. I say this because of that horrible earthquake and tsunami in Japan, which is so big, so bad, so…..I don’t have the words for it. It makes you think things are so tenuous. For everybody living there, everything was probably going along fine, then this hit and turned their world upside down, or ended it altogether in an instant. So, I, and everybody else here will go on and deal with the yucky weather, and whatever trivial things ail us, knowing full well we have the extreme luxury to whine about such things. I know I am extremely lucky to have just the “problems” I described above. 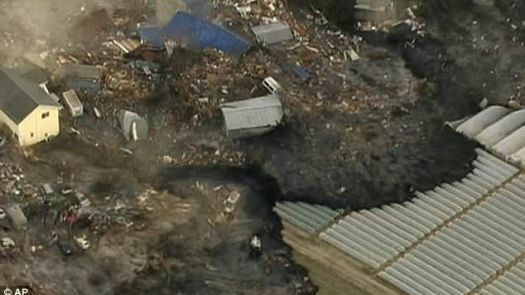 Another aerial view of the Japan tsunami. Below are some jawdropping videos of the quake/tsunami. I apologize that some might begin with highly inappropriate for the situation advertisements for Frosted Mini Wheats. Here’s a video of the tsunami hitting an airport. Next, a news report summarizing the initial quake/tsunami/fires. The destruction looks like the end of the world to me. Truckload of Birds Released. Weird. I can’t for the life of me find out why this truck is full of birds, why they were being released, where the release was and what kind of birds they were. If anybody knows, let me know. I’m curious. Those are the words Darlusz the frog who lives here used to wake me up from a sound sleep early this morning at my house in St. Albans, Vermont. 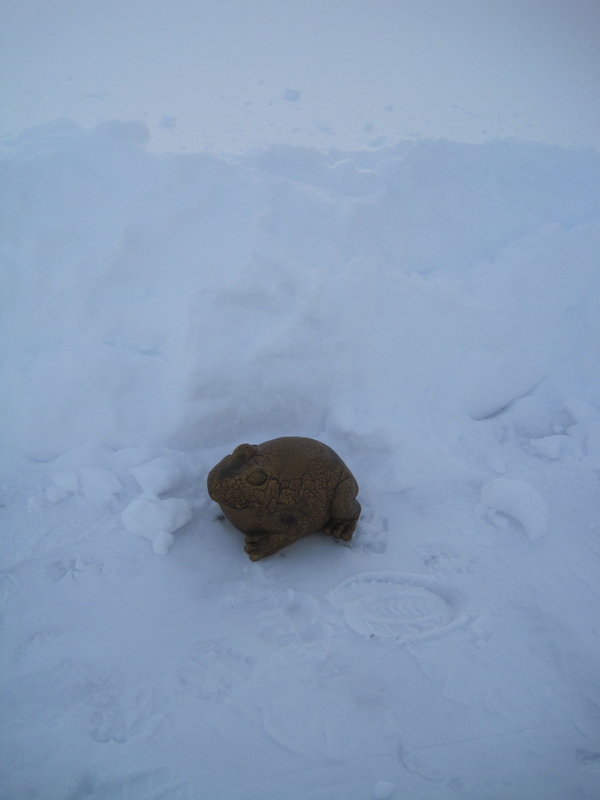 Darlusz the frog next to my mailbox, after I shoveled it out this week and left a giant snowbank behind. “Why you no tell me winter here like dat back when I move here. I no like living in glacier,” Darlusz said. “This snieg, it make me sad,” he said, using the Polish word for snow. “Well, winters aren’t usually this snowy. And you usually start to get thaws in March. This is a weird one,” I said. “But why dis? Why so much now?. I do someting and get punish?,” Darlusz asked. “No, this isn’t your fault,” I said, tapping him lightly on the head. “Believe it or not, some people blame this on global warming,” I said. “Ach, no. But it cold, not warm. It crazy, you say warm cause all dis snieg,” Darlusz said. “First of all, it’s not proven. This snow could be a fluke,” I replied “But I’ve read that a warmer world means there’s more moisture in the air. If there’s more moisture in the air, we can get bigger storms and much more rain. Or snow if it’s cold enough. Remember, global warming doesn’t exactly cancel out winter,” I said, now on a roll. “Ah, dat science it confusing. I get, what you say, frustrated tinking about it,” Darlusz said. “Yeah, a lot of people do,” I admitted. “Some are frustrated to the point of anger. Some people don’t want to believe global warming exists. It does, almost all the scientists agree. And they all agree that the weather will keep getting weirder as a result. It’s the picky details like whether all this snow has anything to do with it that is shaky,” I said. “I see on TV dat people, day yell and day scream dat global warming do not exist. So why you say everybody say it does,” Darlusz asked. “Because I don’t think people who yell should scare us,” I said. “Why doz people so mad anyway,” Darlusz asked. Gawd, that frog’s questions never end. “Exactly. That’s at least part of it. And they don’t know who to trust, they worry that people will make them change their lifestyle to prevent further warming, or there will be more government control, or they just think that since governments have sold them on a bill of goods in the past, it will happen again. “We go shovel now,” Darlusz said. “Da snowbanks, day so big. Where we put da new snow dat fell,”? he asked. “Darlusz, that’s the toughest question you asked all morning,” I replied.